Potted Green is a Sydney-based plantscape business offering hire plants and sales to a variety of customers. Potted Green provides interior and exterior hire plants for offices, restaurants, hotels, showrooms and weddings. 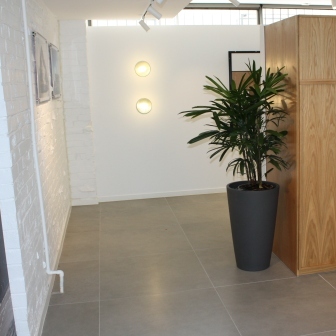 We cater for anyone wanting to enhance the appeal of their premises through the addition of plants. We have a selection of plants and containers to select from for your environment. If you are looking for something unique to complement your decor we will source it for you. Go through to our gallery to see some of our work. OUR PROCESS | We tailor our services to the needs of each client. After your initial contact with us we will promptly arrange for a Potted Green team member to visit your site. At this visit we will discuss your needs and work with you to select the ideal plants and planters for your environment. Following the site visit we will prepare a proposal and supply a comprehensive quote so you can tailor our services to your needs and budget. Once you are happy with our proposal and approval is given we will arrange delivery and installation of your plants and planters. Finally you and your staff will be able to enjoy the benefits of a greener workspace. Potted Green Indoor Plant Hire is based in the Macarthur region of Sydney. Due to our location we are ideally placed to cover the Sydney metropolitan, Blue Mountains, Wollongong and Southern Highlands areas. We are happy to say we have been as far as Kangaroo Valley and Blackheath with short term hire plants for the occasional wedding. Please feel free to contact us if you think you are outside our coverage area because like plants, as our business grows, so do the areas we cover!